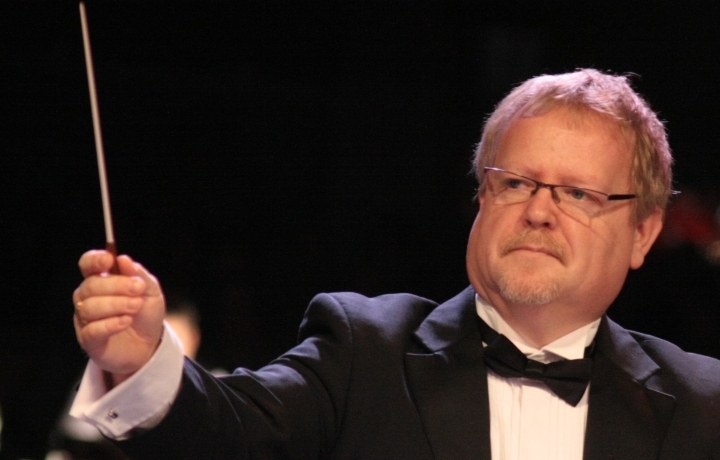 Russell Gray is to lead a conducting seminar weekend in collaboration with the Bathgate Band. The event will take place on 23rdand 24thMarch based at the band’s headquarters, concluding with a concert at 7.30pm in the Regal Theatre featuring the conducting delegates. The course will begin with Russell taking the delegates through Ray Steadman-Allen's Championship Section test-piece, 'Seascapes', examining, analyzing, working on baton technique as well as rehearsal preparations and approaches. The second day will then focus on the repertoire for the evening concert. Russell commented: "There will be a warm welcome and the band is experienced to aid the delegates in front of them. We will enjoy a highly enjoyable and productive weekend with plenty of friendly banter leading to a great concert." As past conducting delegate Steven Critchlow endorsed the event stating, "The band is amazingly friendly and patient and Russell of course is full of experience and knowledge. I'd encourage any aspiring conductor to attend."